Today’s Guest: Sportswriter Pete Williams, author, Obstacle Fit, Paddle Fit, Core Performance, The Draft. Mr. Media is recorded live before a studio audience of aggressive, eager athletic mudders who look down their noses at the likes of me… in the NEW new media capital of the world… St. Petersburg, Florida! 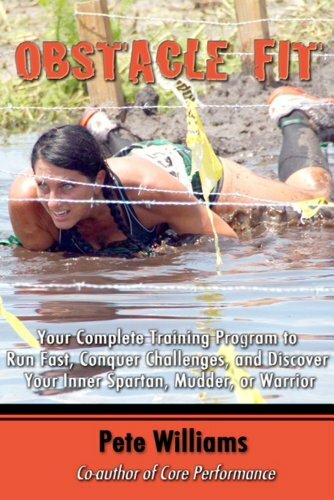 Order ‘Obstacle Fit: Your Complete Training Program to Run Fast, Conquer Challenges, and Discover Your Inner Spartan, Mudder, or Warrior’ by Pete Williams, available from Amazon.com by clicking on the ebook above! ]If author Pete Williams is on the show, you can be pretty sure that I’m going to be out of my element. 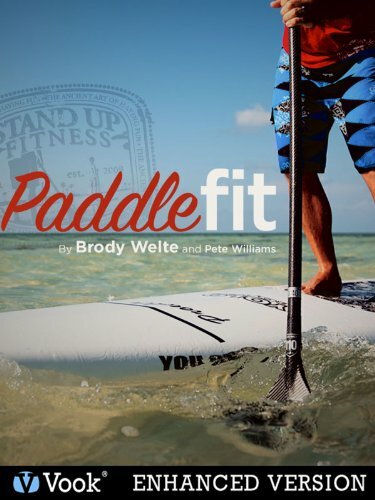 Order ‘Paddle Fit’ (Enhanced Version) by Pete Williams, available from Amazon.com by clicking on the vook cover above! But ever since he met professional fitness trainer Mark Verstegen and co-authored a series of Core Performance titles, it’s been man overboard for Mr. Media. My training regimen consists of getting up every morning, walking to the kitchen, taking a bunch of vitamins, walking the dog for 20 minutes and then walking to my desk. Pete, on the other hand, has moved on to marathons, triathlons and Iron Man competitions. He wrote a vook called Paddle Fit and I actually went out into the waters of Tampa Bay to videotape our last interview. And I’m not much of a water bird. This time around, Pete’s latest ebook is called Obstacle Fit: Your Complete Training Program to Run Fast, Conquer Challenges, and Discover Your Inner Spartan, Mudder, or Warrior. In it, he explores a world completely foreign to me, where people get fit by creating ridiculous challenges to their well being and sanity. At least that’s the way I see it.